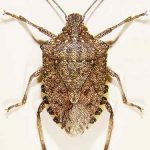 Entomology presentations made at the 2019 ENYCHP Winter Fruit Schools Desmond Hotel & Conf Ctr., Albany, NY are now available for viewing and future reference. Invasive Insect Tsunami: Managing BMSB in NYS Orchards. This presentation provides updates on BMSB ecology & biology, monitoring and scouting, stink bug injury diagnostics, results of efficacy studies for insecticide selection, biological control efforts using NYS adventive Samurai wasp, and research to support reduced orchard spray programming in support of parasitoid conservation. 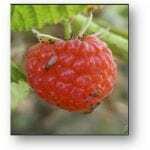 Developing Exclusion and Attract-and-kill Strategies To Manage Spotted Wing Drosophila In Raspberry PYO Production. This presentation focuses on SWD biology, alternate host and crop preferences, insecticide decision making & resistance management, Use of attract and kill systems to reduce infestation levels and exclusion netting system development for pick your own raspberry production.